This entry was posted on February 22, 2017 by Goplasticpallets. Sales of “square” 1200 x 1200mm pallets have risen in recent months, thanks to growing demands from the liquids and chemicals sector. 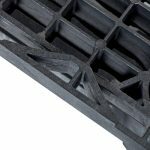 According to Goplasticpallets.com, the UK’s leading independent supplier of plastic pallets, the increasing need for the 1200 x 1200mm pallet is due to its favourable, square shape. As a result, Goplasticpallets’ range of 1200 x 1200mm pallets has become progressively popular for handling drums of liquids, powders and expensive core ingredients. Particularly where the use of IBC’s (Intermediate Bulk Containers) and road tankers is not appropriate. This is also affected by the rarity and price of the ingredient, or because it is sourced in small quantities, from a number of different suppliers or countries. 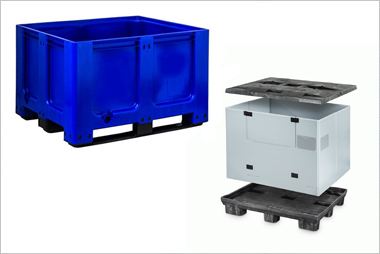 Designed for heavy handling and high rotation use within returnable pallet scenarios, the uniform shape is ideal for transportation and storage. Especially of heavy, cumbersome containers that often prove difficult to handle. Historically, the 1200 x 1200mm “square” pallet has been used by chemical manufacturers, who for various reasons predominantly use 205 litre drums, and more recently plastic barrels. 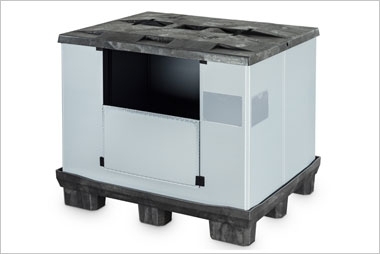 This type of container is well suited to this style of pallet, because it can comfortably hold four large drums or barrels at a time. The APB 1212 HR 6R Drum is designed for this application, with blocks moulded into its frame to locate four, 205 litre drums. The robust design offers superior strength. Its distinctive size makes it suitable for handling and storing big (FIBC) bags, weighing up to 1250kgs safely in racks. 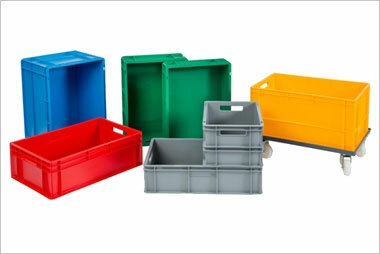 With over 30 years of experience, Goplasticpallets.com has crafted a range of 1200 x 1200 plastic pallets to suit all applications, from light to heavy duty. The range also offers the choice of an open or closed deck, and three or six runners. Additional safety and anti-slip features are also available. This heavy duty pallet has a closed deck to make light work of bulk storage and distribution, including bulk bags and large drums. The APB 1212 Pool Closed 6R is also available with a perforated deck and three runners. Ideal for shipping and storing 205 litre drums of liquid or powder. This heavy duty, open deck full perimeter pallet comes with moulded-in blocks to securely locate four, 205 litre drums. The Qpall 1212 M6R is a great alternative for applications that command a lower loading capacity. 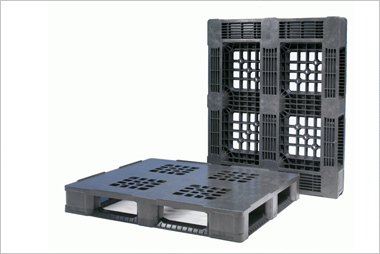 This medium duty, full perimeter, perforated pallet is well suited for the chemical industry and, distributing sizeable bags of powders and raw materials such as carbon black. 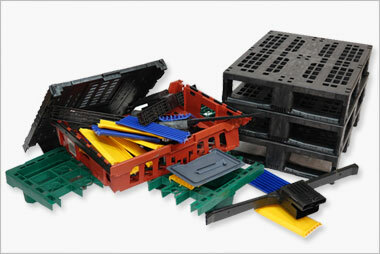 Visit our website to view the full range of 1200mm x 1200mm plastic pallets.